National Agents Alliance is America's top source for mortgage life insurance. We offer a wide variety of plans to meet every budget and coverage need. Our team of highly skilled mortgage protection insurance specialists are ready to help you protect your home and family with a custom policy. 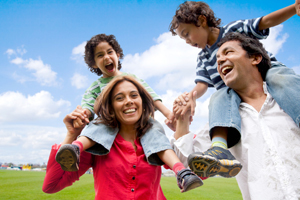 National Agents Alliance is America's top source for mortgage life insurance. We offer a wide variety of plans to meet every budget and coverage need. Our team of highly-skilled mortgage protection insurance specialists are ready to help you protect your home and family with a custom policy. Mortgage life insurance is a life insurance policy that provides your loved ones with a death benefit to pay off your mortgage when you pass away. It's not just a piece of paper, though. It's an investment in peace of mind. You can rest easy knowing that your family will never lose their home, even if the unthinkable should occur. National Agents Alliance has many flexible life insurance policies with top-rated insurance companies so we can find a plan that will fit your budget and your needs. Our policies are term policies in which the term matches the term of your mortgage. We also have plans that can return all of your premiums at the end of the term of the policy. Many of our policies will even waive your premiums if you become unemployed. Unlike mortgage insurance offered by mortgage lenders, the recipient of your mortgage protection life insurance policy benefits is your family, not the mortgage lender. These life insurance policies are also portable, so if you move, your policy moves with you without any requalification. In most instances, you can apply for coverage without having to undergo a medical examination - all you have to do is answer the questions on the application. Because National Agents Alliance is comprised of independent agents, we offer something no ordinary insurance company can: multiple insurance providers to choose from, a plan customized to your needs, and the most competitive mortgage life insurance rates in the industry. Other companies offer overpriced one-size-fits-all policies that may not match your needs or your budget. At NAA Life, our extensive provider network allows us to offer the best protection for your family at the most affordable rates. To get started with your free mortgage life insurance quote, please fill out the form on this page or call our toll-free number. Our team of highly skilled mortgage life insurance specialists will work with you to develop a plan that fits your budget and coverage needs.